Colonial Williamsburg is proud to announce military and presidential historian Edward G. Lengel as a 2018 Colonial Williamsburg Revolutionary in Residence. 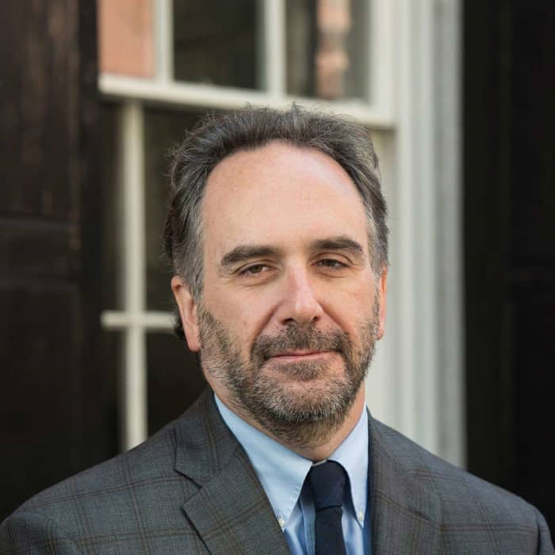 During his residency this year, Lengel will author the historical text of a new edition of “Colonial Williamsburg: The Official Guide,” and speak at the Hennage Auditorium on July 12. Lengel, an independent historian, is also a special advisor to the Woodrow Wilson Presidential Library Foundation and a member of the advisory board of the United States World War One Centennial Commission. He holds a bachelor’s degree from George Mason University, a master’s degree in history and a doctoral degree in modern European history from the University of Virginia. His honors include the National Humanities Medal, received in conjunction with the Washington Papers Project, the Norman B. Tomlinson, Jr. book prize, and the Rawlings Prize, as well as recognition by the Army Historical Foundation and the U.S. Military History Group. The new, two-volume edition of “Colonial Williamsburg: The Official Guide” is scheduled for release in 2019. Although there is no such thing as definitive history, Lengel’s book now tops the list as the most comprehensive and authoritative study of Washington’s military career ever written. Historians have long debated George Washington’s generalship. Now, armed with many previously untapped sources obtained by the acclaimed Papers of George Washington project Edward Lengel enters the fray with a full-scale biography of Washington the soldier. With a sharp eye for drama, a mastery of detail, and balanced and insightful judgments, Lengel gives us a brilliant and compelling study of the military strengths and weaknesses of the remarkable man who was ‘first in war, first in peace, and first in the hearts of his countrymen. Ed Lengel knows the Washington military papers as have few historians, past or present. His study of Washington’s career as a soldier is a model of clarity and judicious analysis. It deserves a wide readership.